-I currently live in South Korea and cherry blossoms are a big deal here! I was inspired by the spring beauty surrounding me and created this material. •*I know that it sometimes snows in spring and it often rains in winter. The items listed are concepts most commonly associated with that season. 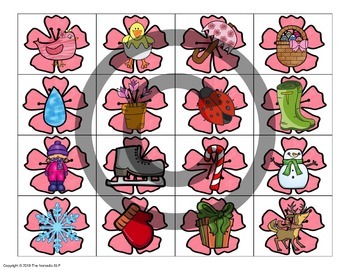 -Help give the cherry blossom tree more blossoms by adding all the cherry blossoms with spring-related vocabulary items! 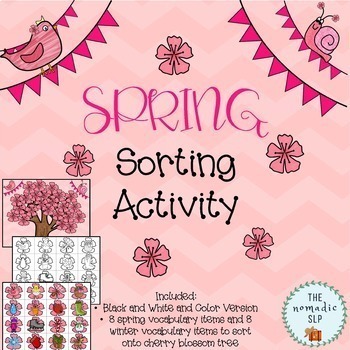 Ideas for use include cutting and pasting, or laminating to use again and again!